The postage for standard sized postcards was one cent from July 1, 1928 until January 1, 1952. 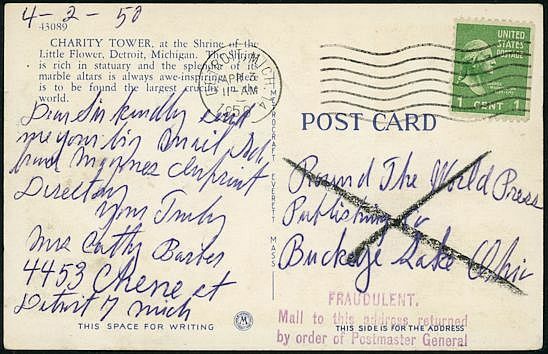 This postcard was marked FRAUDULENT (address) and returned in 1950. The post office was particular when it came to a message extending onto the address half of a postcard. Letter postage was normally charged if this was noticed. Postcard rates for possessions and territories were the same as the domestic rate. 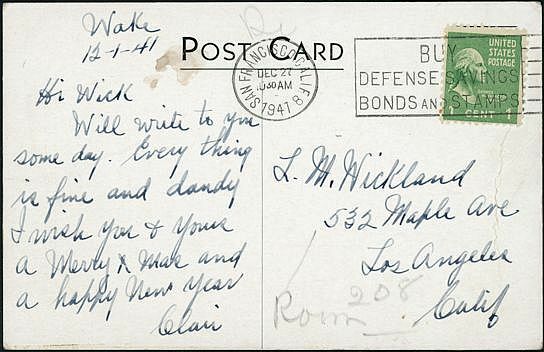 Postcard from Wake Island, December 1, 1941. It is chilling to read in the message that "Every thing is fine and dandy..." when the atoll would fall to the Japanese just over three weeks later. 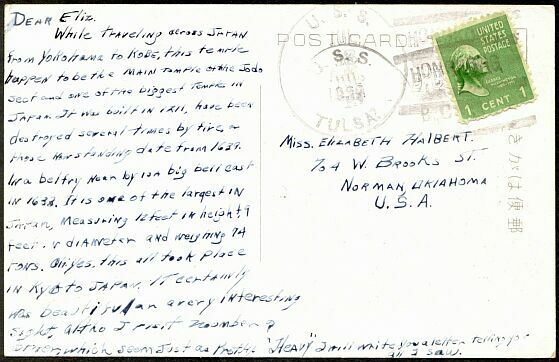 A postcard from Hawaii sent in March of 1942 with an early Information Control Board release handstamp. 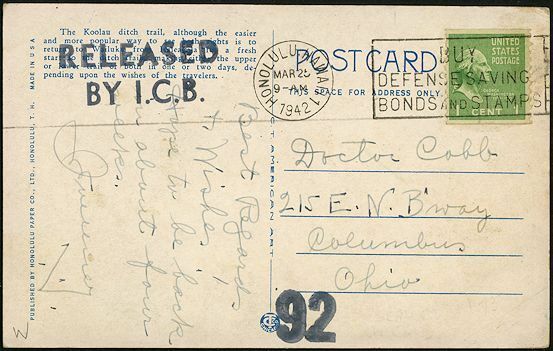 Those in military service also were allowed to use the domestic postcard rate. 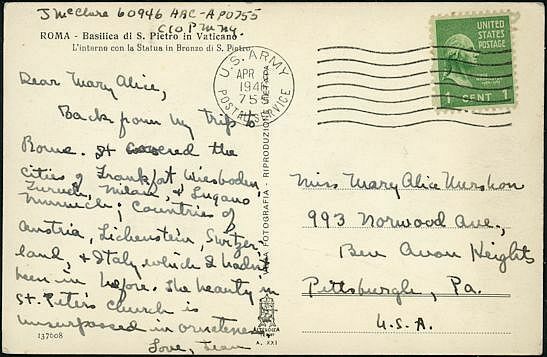 This card was mailed on the U.S.S Tulsa from Hong Kong in 1939. Postcards from APOs used the domestic rate as well. 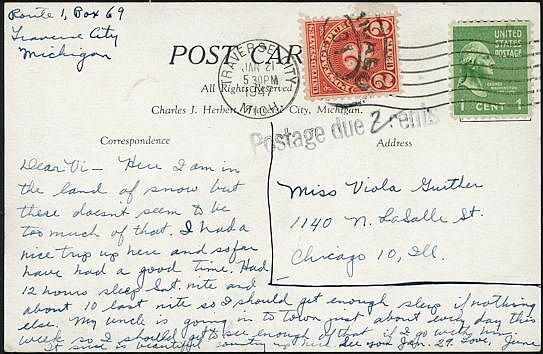 This one was sent from APO 755 in Germany, in 1946.